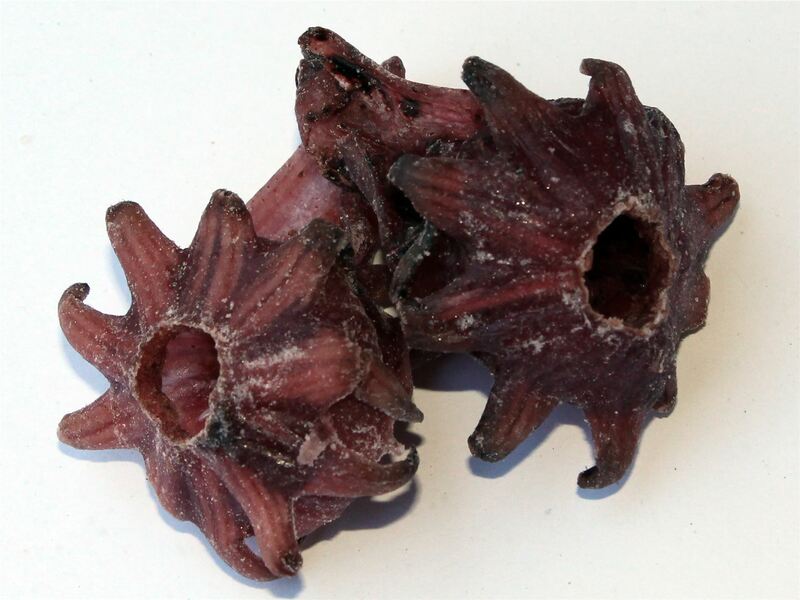 Hibiscus blossoms, dried and sweetened, are decorative and delicious. In fruiting time, hibiscus blossoms are harvested from the shrubs and dried. Citron acid, apple acid and hibiscus acid are responsible for the refreshingly sour taste of hibiscus blossoms. Hibiscus, or rose mellow, belongs to the mellow plants. The shrubs grow in warmer regions of the world and have flowers that are also used for spicing curry dishes in south Asia. In Africa and Mexico, hibiscus blossom tea is very popular and part of traditional medicine. The infusion has a deep red colour because of the anthocyanins and is delicious both hot and cold.